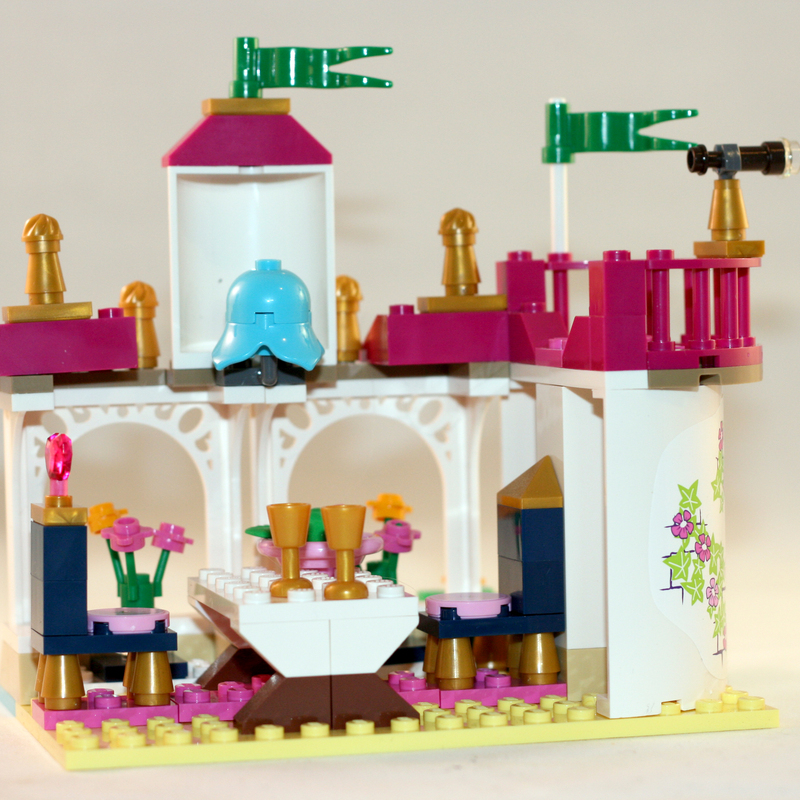 LEGO Disney Princess – Ariel’s Magical Kiss is the latest LEGO set that I put together with my daughter. The Little Mermaid is currently her second favorite Disney movie behind Frozen. There aren’t any Disney Frozen LEGO sets yet so we decided on The Little Mermaid. This set is based on the boat ride that Prince Eric and Ariel take in the middle of the movie. In this scene the animals are trying to get Prince Eric to kiss Ariel to break the spell and regain her voice. 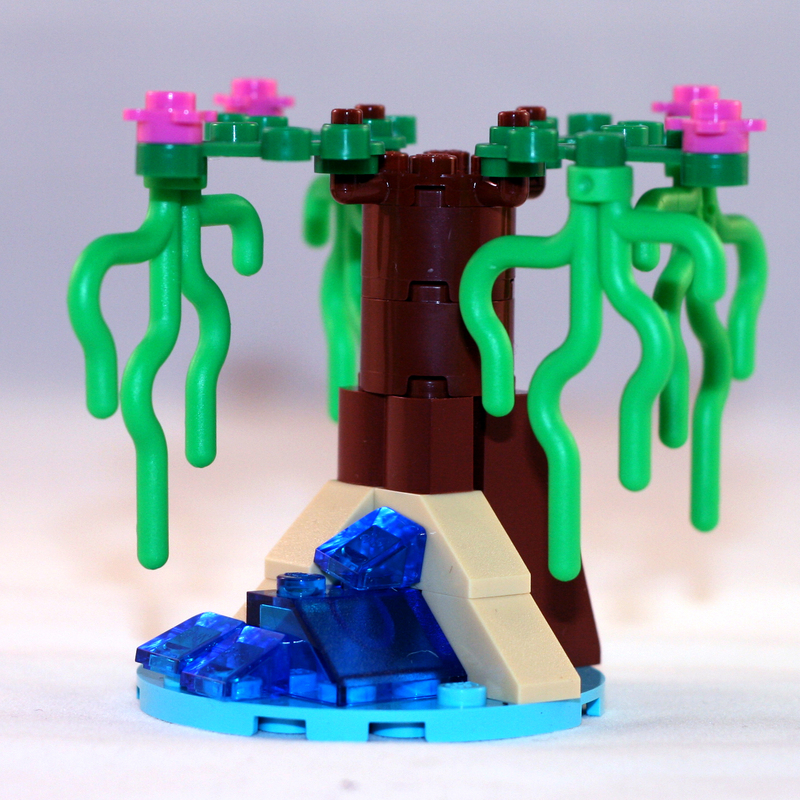 The Willow Tree set piece is very strong piece in this set. Besides the main building this would be my favorite. Even though it doesn’t have many pieces it has a nice visual look when it is finished. The Frog Set piece is a little over simplified. 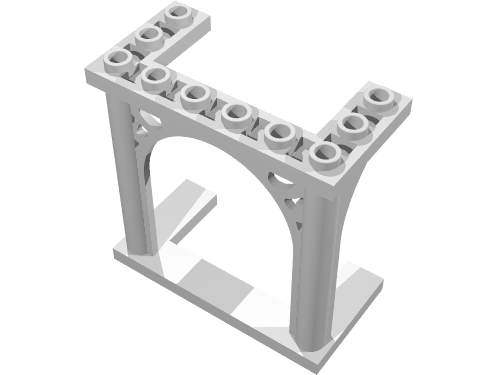 I am not sure why LEGO didn’t do more with this piece. It looks a little small and cheap with the rest of the set. 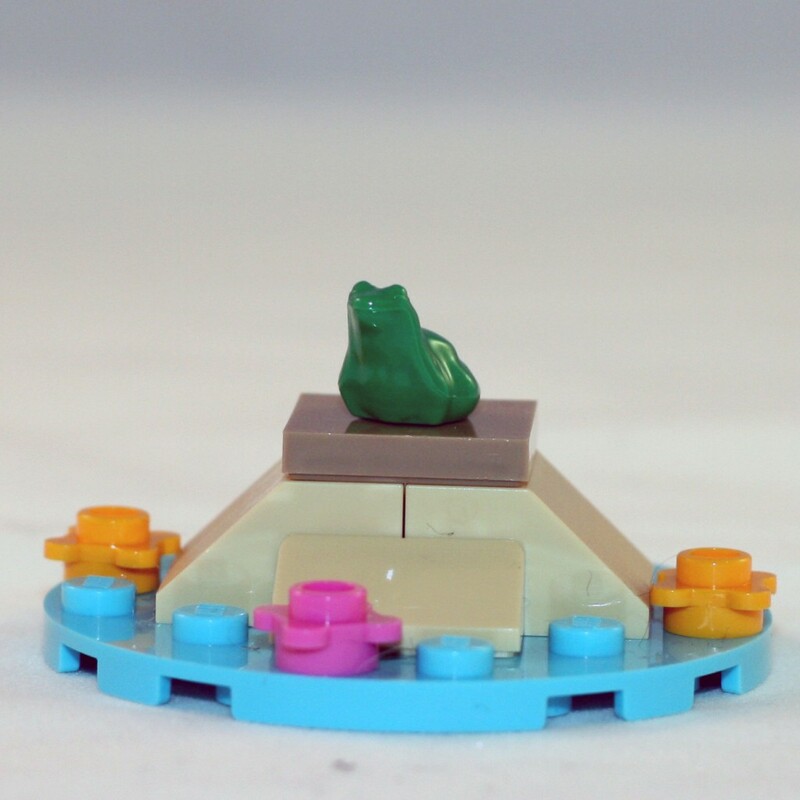 I would have preferred that they added the frog to the tree or created a larger animal stand. 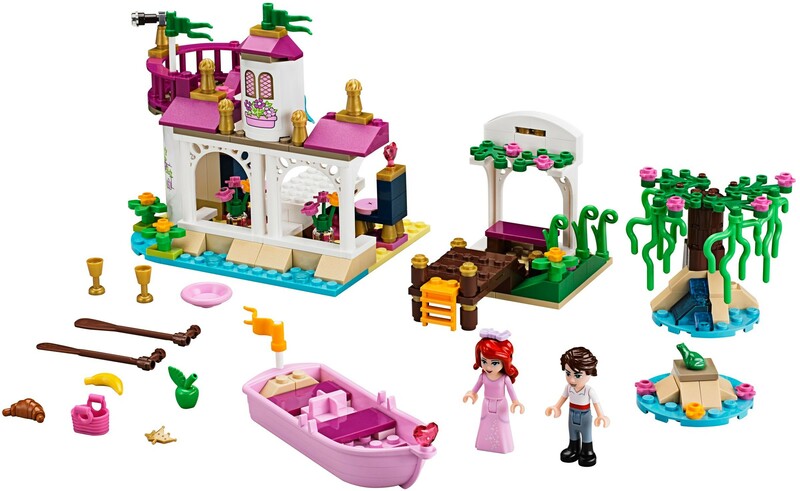 The Boat set piece is very cute but it is more of a toy than a LEGO. 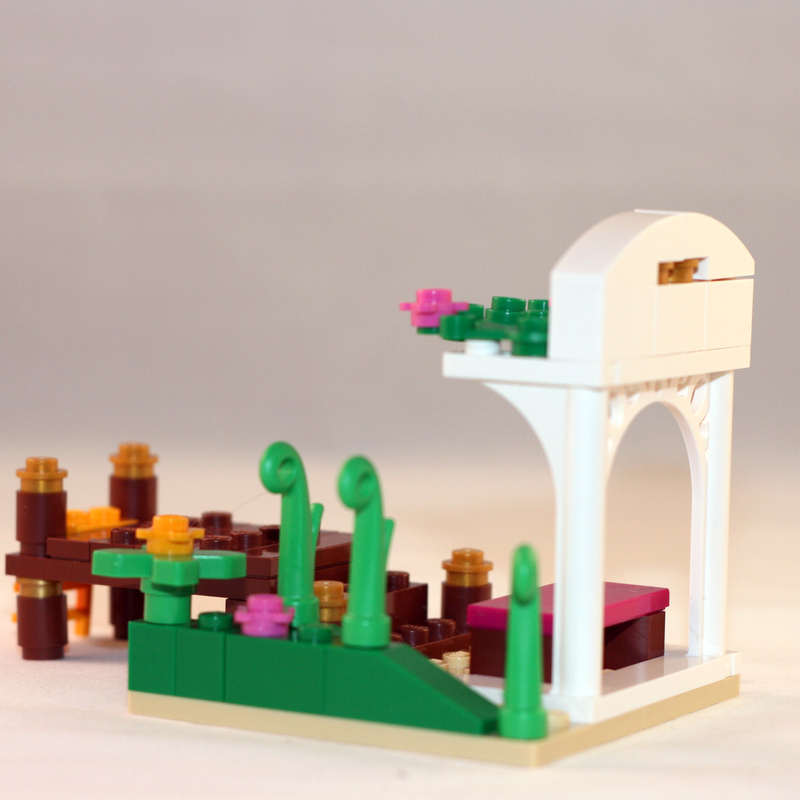 The boat is comprised of one solid piece with studs on the inside to attach LEGO pieces to. I would have preferred a boat you could construct over a completed piece. 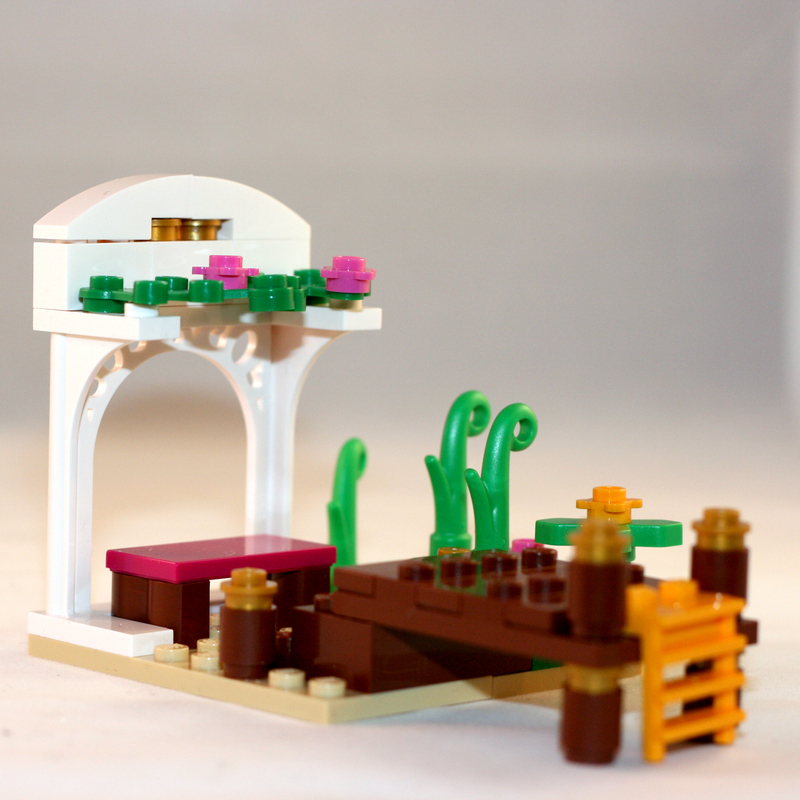 The Dock piece is a well designed piece that fits well with the theme. The plant pieces add color and and nice organic look. 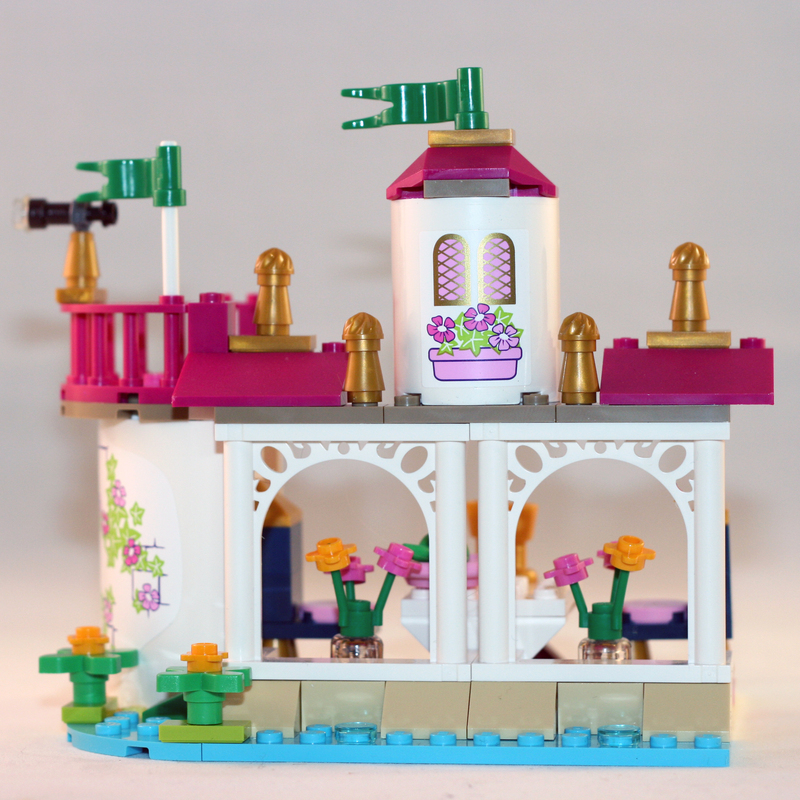 The Main Building is the primary piece in this set. It contains a table with two thrones and a lookout with a telescope. The piece is very attractive and fits the theme perfectly. I really only have one complaint with it. When you set the Ariel minifig in her seat at the table she doesn’t fit perfectly; her hair makes her lean forward over the table. 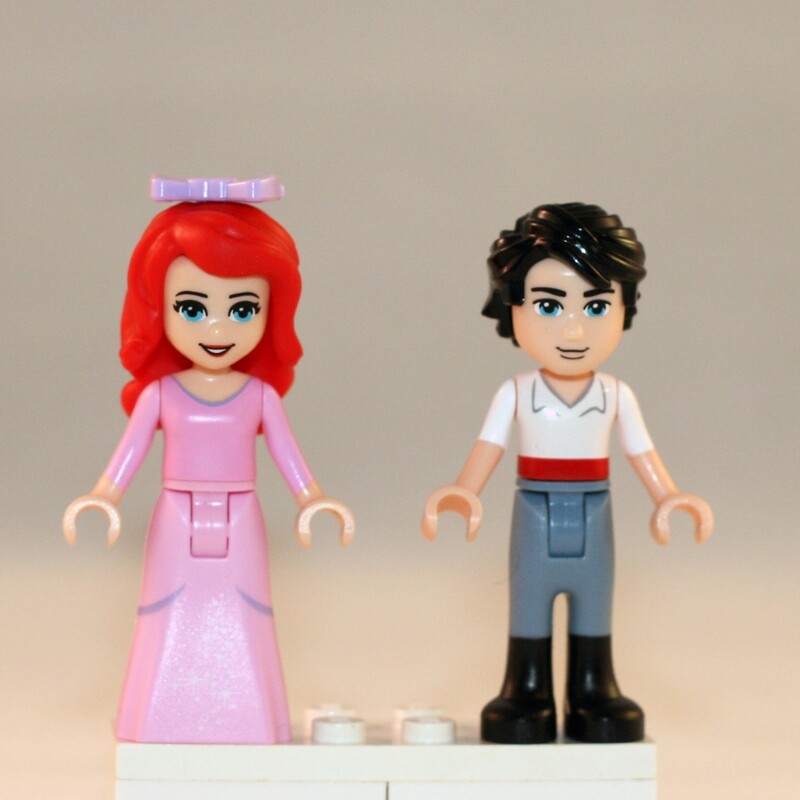 The minifigs are amazing LEGO replicas of Ariel and Prince Eric. 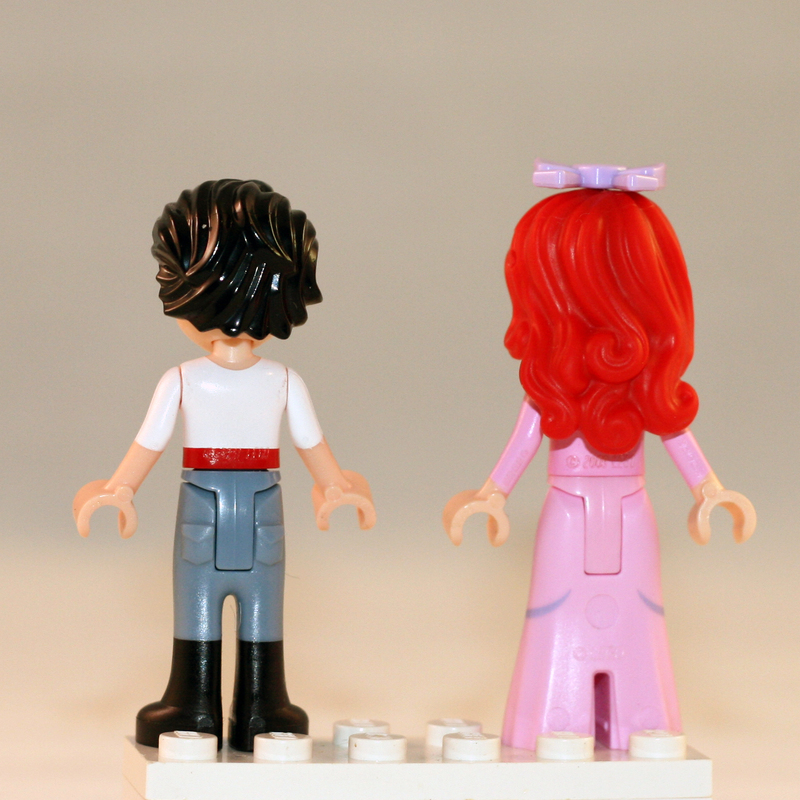 The minifigs are LEGO Friends sized and not the traditional size minifigs. The set includes three of these beautiful window pieces. When it comes time to tear this set down I look forward to using these in my own creations. I think they would work well as a store front or a fun classic building look. Has some nice reusable pieces like the windows, tower railings, and tree pieces. I would have preferred larger set pieces instead of 5 set pieces. 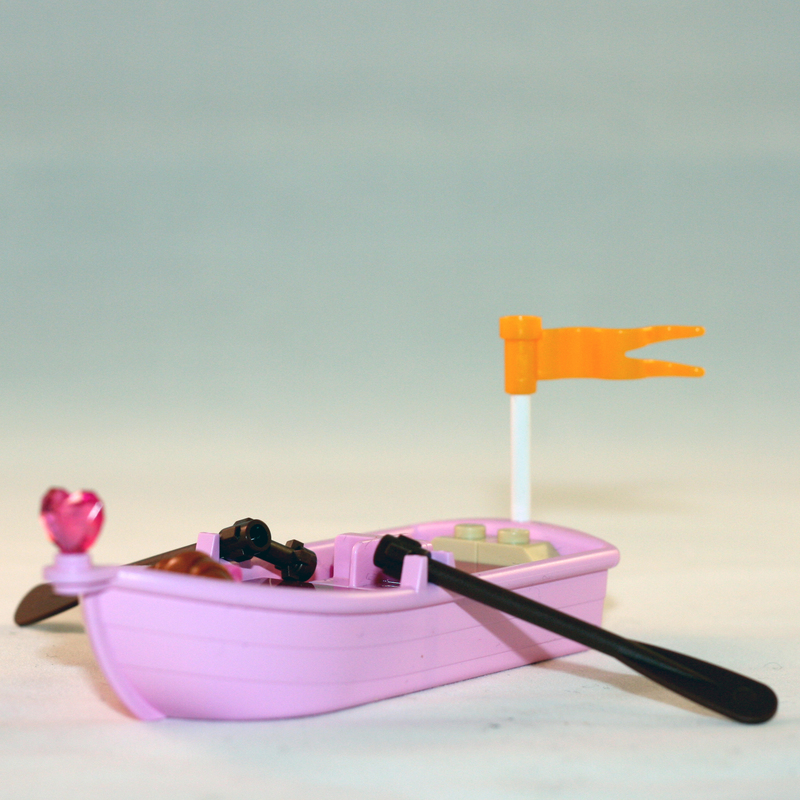 The boat is more toy than LEGO. I would recommend this set to anyone that the theme appeals to but you money may be better spent elsewhere if Disney Princesses are not your style. Tagged LEGO Disney. Bookmark the permalink.